Can a family plan finally make Google's bargain wireless service Project Fi relevant? Project Fi may finally let you bundle multiple friends and family members into one group wireless plan. According to Android Police, which dug into the latest Project Fi app’s APK, there are several references that allude to a forthcoming family plan. There’s no set launch date, but the work is clearly underway since it’s hiding in plain site in the latest version of the Project Fi app. 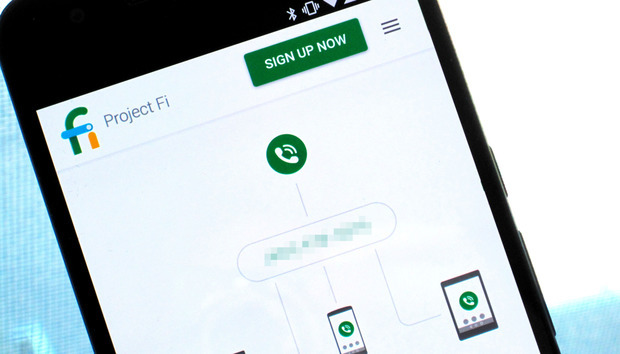 Why this matters: Project Fi is Google’s strange but intriguing take on wireless service. You need a Nexus phone, which is engineered to bounce between Sprint, T-Mobile, U.S. Cellular, and open Wi-Fi networks for service. The service is pretty cheap with data costing only $10 per GB, but the lack of any type of group plans and limitation to Nexus phones has made it impractical for most consumers. The first piece of evidence is the most obvious: Several pieces of code string refer to a “group plan.” There’s a main account that gets control over data allowances. Since Fi lets you choose a bucket of data each month, presumably you’d be able to parcel out a gigabyte here and there depending on individual needs. Other hints in the code reveal that the usual parental control found with the mainstream carriers, such as usage alerts and the ability to cut the cord on the flow of data, will be present as well. You can even toss someone off your plan and send them on their own. Google has slowly been making moves to make Fi more appealing, as this summer it ramped up international coverage to include LTE and added U.S. Cellular as a domestic carrier partner. I used Project Fi this summer when visiting the Netherlands, U.K., France, and Ireland and found it to be a great experience. Data was fast, with LTE in most locations, and phone calls were surprisingly clear. But the lack of any type of group plan has meant it’s a no-go for me as a regular service, as I’m sure is the case for others. Is Google serious, or just experimenting? Google has never provided any subscriber numbers, so it’s difficult to tell if this is still all some grand experiment designed to nudge the wireless industry into more liberal data usage or to gain insights into how people use their phones. Family plans could convince a few tech-savvy users like me to make the leap, but the other major roadblock is the limitation to Nexus phones. Google would need to partner with other hardware makers to make them Fi-ready. We haven’t heard any buzz about that, and it’s unlikely the company would be eager to invest the resources for what is likely a network with very low usage. But if Google would expand beyond Nexus, it’d certainly be a more viable option. Yet, while Google may be building out Fi’s capabilities now, it wouldn’t be shocking if one day it pulled a Project Ara and shut the whole thing down. One likely place to learn more about Fi’s plans is at Google’s rumored hardware event in October, where we should see new phones, Google Home, and a 4K Chromecast. It’d be an ideal place to proclaim new Fi family plans just in time for those glimmering new phones.